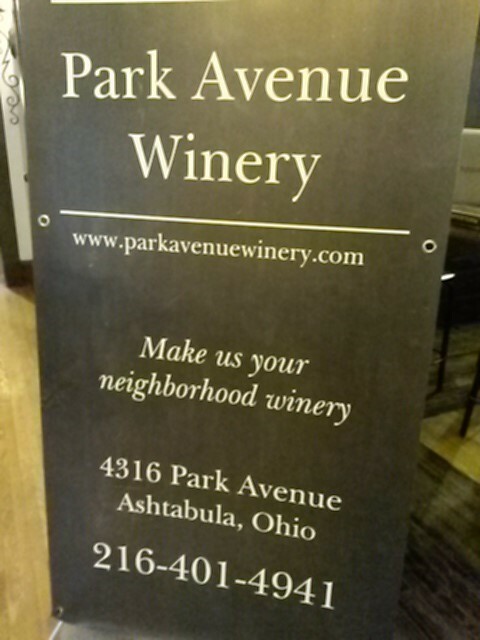 ﻿ Park Avenue Winery - Ohio. Find It Here. Ashtabula County Winery located near shopping, fine dining, hiking, covered bridges, bike trails and lakefront activities. We are a small winery, producing less than 100 cases of wine each vintage year and try to source our juice as close to home as possible in order to stay true to the 'Made in Ohio' motto. Although we don't have a vineyard onsite, we do have experience in Viticulture and Enology and do not make our wines from a 'kit'! That being said, when you walk thru our door the person at the tasting counter is the winemaker - Lori, her daughter or her son - so you get a personal experience every time. We are that small and we like it that way. Ask questions, we like those too. Tasting room serving small plates.